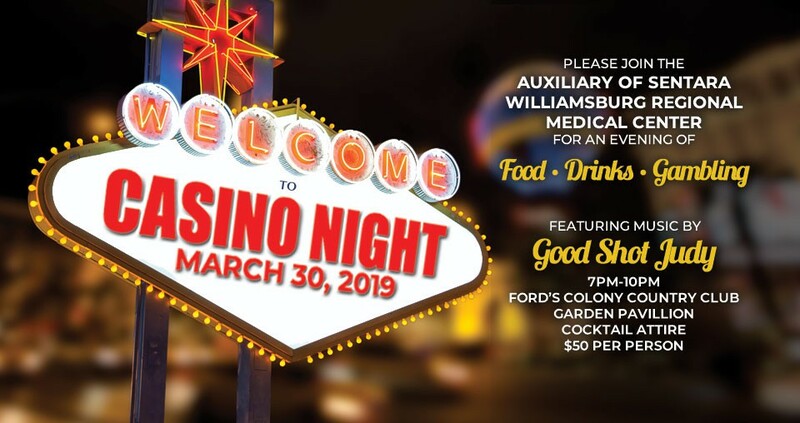 Casino Night was March 30, 2019. If you missed us on Saturday night, you really missed a great party! There was great music by “Good Shot Judy”, delicious food and drink by Fords Colony, and gambling! The games of chance certainly attracted crowds and there were many winners! Lots of excitement was heard around the room and many winners were able to get extra tickets for the prizes we provided. We only had 6 winners because there were only 6 prizes, each valued at $500 or more, but there were lots of tickets available to make the competition very interesting! It seemed like people didn’t want to leave and many would have stayed longer. 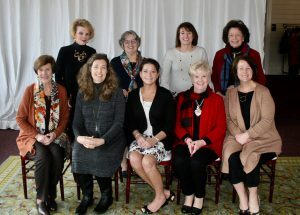 So if you missed the party this year, please hope the Auxiliary does it again next year because you won’t want to miss it again! !